Momentum – It Doens’t Work…Does it? Our church in Elma is a church as any other. Be it big or small, when the evangelistic fatigue starts creeping among the church members, one would hear about the same statements: “We have done evangelistic series in the past. It doesn’t work!! (sigh)”. So, for a time, we took a break from doing the public series. Fairly soon we realized the other things don’t work that well either. Two years ago, we decided to give another try to a public prophecy seminar. As a result, a couple was received into our Adventist fellowship based on their profession of faith. The sun smiled over our village again. Church members were excited and decided to have another try, this year. We followed up with Bible studies for these two people, we got them involved in church activities and they are still among us today. This year, we held another prophecy series and God has blessed us again. Three people decided to be baptized. The baptism was a great celebration and the church was full! Praise the Lord! Again, church members came to support the newly baptized in a Bible marking class as a follow up to their baptism. The previous two members are now part of a separate small holistic group where they study a book, fellowship and have an opportunity to invite their friends and neighbors. In just a couple of years, our church members found out (again) that public evangelistic series still work because God still works. 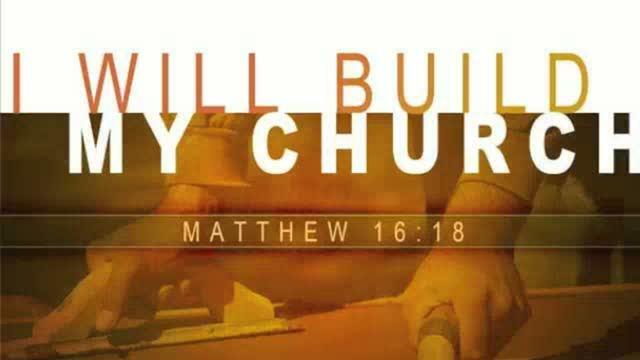 It is still His promise: “I will build My church”. We, as His disciples, need to keep exercising our faith in Him expressed in the words: “You are Messiah, the Son of the living God” (Matthew 16:16). We need to be faithful in doing what we are supposed to do, and it’s God’s business to bring the people into His church. We learned something else. Not all the people that come will stay, but our duty is to those who have a desire to know more about God and are ready to make a decision for Him. She came a couple more times on Sabbath to our church services after this. She chose to continue studying on her own for this time. What we know is that God keeps working on her heart and when she is ready, God will harvest her. And, as we keep in touch with her, we will be here ready to be her brothers and sisters. Comments Off on Momentum – It Doens’t Work…Does it?